But the gist of the Carnegie Corporation paper does not focus on lesson content. More and more Disciplinary Core Idea (DCI) content like that provided via Legends of Learning’s science games is available to teachers. 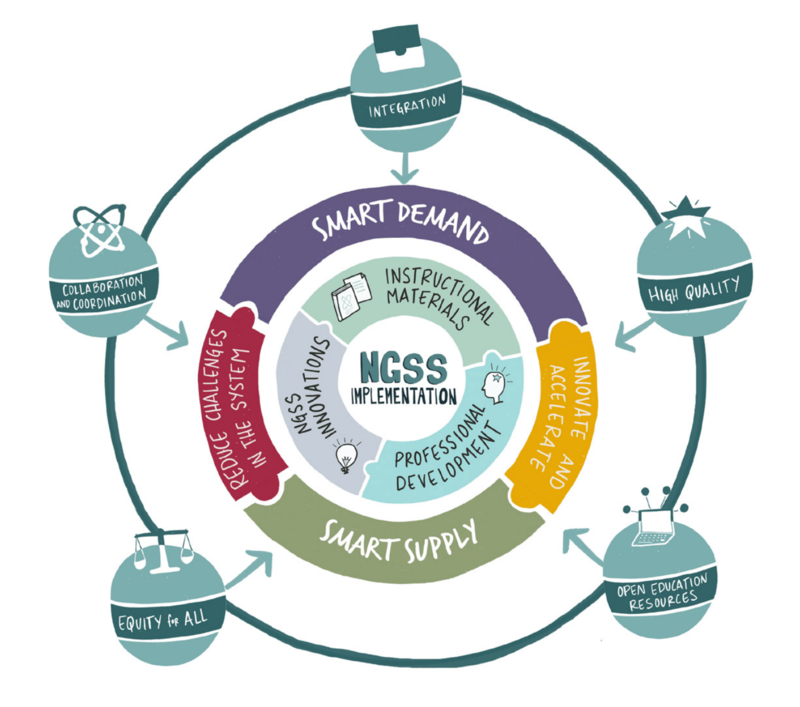 Rather, the real issue revolves around the lack of materials for the NGSS’s key dimensions of science and engineering practices (SEPs) and crosscutting concepts (CCC). Frankly, the report suggests a complicated road map to develop this curriculum, as evidenced by the following chart. While accurate, core issues identified by the report are a direct result of market demand. As the report notes, many state and district education officials don’t understand the nuances of SEPs and CCCs. When they do understand and they demand this content, the education sector will create it. After 80% of districts adopted NGSS standards on their own, Wisconsin went ahead and created its own modified version of the science curriculum standards. One major change was a de-emphasis on specific performance expectations for integrating SEPs, CCCs, and content. Instead, Wisconsin refers to the NGSS performance guidelines as one set of suggestions. After New Mexico’s unusually politicized NGSS adoption process and Iowa’s more normal process, many in the industry wonder which state will move towards the standards next. Pennsylvania may be the answer. Governor Tom Wolf is making waves about investing in modern education, and this science teacher wants state STEM education to revolve around NGSS. Speaking of engineering principles, check out this awesome NSTA podcast with author Cory Doctorow. Doctorow’s newest work, Walkaway, features a dystopian future where drones and 3D printers are used to routinely as a means of problem solving and collaboration.